F l y f i s h B a v a r i a . . . o n t h e I s a r r i v e r h e r e o n s i t e ! 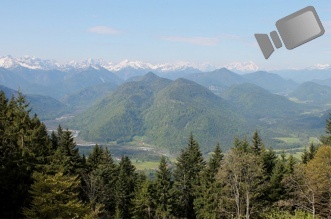 The upper reaches of the Isar river are one of the last wild river landscapes in Europe. The upper river in the so-called "Isar angle" below Sylvenstein reservoir is one of the most beautiful flowing river sections of Bavaria with breathtaking scenery, wide gravel banks and clean water - ideal for fly fishing! The rainbow trout stock can be described as good but brown trout occur as well. Prime fish species however is the grayling, whose existence is gratifying constant thanks to year-round protection. Caddis, mayfly and stonefly imitations, terrestrials and streamers lead to success in the variety of classic riffles, runs and pools of the mostly natural river course. For guest fishermen there are 2 river sections available - 17 km in total length. Day permits are issued under the condition to stay overnight in the community of Lenggries. Best time to fish is early May to mid July and then especially the fall from early September to mid-November. In mid summer, the fishing action is unfortunately disturbed by (too) many raft, kayak and boat drivers as well as bathers. In general conditions must match because excessive rainfalls - unfortunately not uncommon - lead to prolonged blur of the here otherwise crystal clear river. The **guest house Fellerhof in Lenggries is our long-term partner on site for guest anglers who come for fly fishing on the river Isar. This quietly, within easy reach of the village center situated guest house of the family Seibold is set to fly fishing. 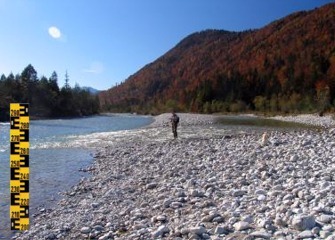 As a guest of the Fellerhof you have access to fish their very scenic, in-house private stretch of the river Isar. In addition, the Fellerhof holds for its guests a limited amount of daily fishing permits for the subsequent section Isar Lenggries, which is run by the local fishing club. The extremely affordable accommodation offers rustic single and double rooms and one triple, all equipped with shower and toilet. In the back yard of the house a large lawn and a terrace invite to relax after a fishing. 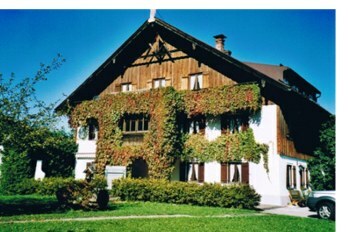 Restaurants and other facilities in the village of Lenggries are within close walking distance. Alternatively, Fellerhof guests can use a communal kitchen for self-catering and a common room with TV, where also breakfast is served. You want to combine your stay with a flyfishing class or guiding? Contact us! We offer both group classes at fixed dates as well as private classes or guiding to individual appointments on the Isar river here on site. Class and guiding days are not connected with the need to stay overnight in Lenggries and are not limited to above delineated guest angler river sections. For fly anglers who come to fly fish the Isar for the first time, we also offer a 2h orientation tour along the water at the price of € 95.-. Here you not only get shown the total 17km long mentioned Isar river sections and several good fishing spots, but also the best spots for parking and river access plus plenty of tips for fly pattern choice and fishing methods depending on the prevailing conditions. Possible dates for courses, guiding or orientation tours should best be arranged with us as soon as you have planned and booked your trip dates on the Isar.